A very big thank you to all that read, shared and gave me feedback on my last blog post - it was lovely to see those mentioned celebrated for the hard work that they continuously exhibit. A week into Black History Month here in the UK and it seems timely to share a few events that will be happening this month in London. The majority of these events do have a UK outlook on Black History however I did come across a few interesting trans-Atlantic themed events which some of you may find interesting. Beautiful and inspirational UK social media influencer Breeny Lee will be interviewing THE Broderick Hunter on his recent accolades, as well as gaining an insight into his journey. On the night, founders of Shear and Shine Lina Gadi and Aaron Wallace will discuss how they built the UK’s first black owned grooming brand. With social media marketing and branding ever prevalent, it is rather timely to hear how Mr Hunter grew his social media platform and ultimately making it onto 'PEOPLE Magazine’s “Most Sexiest Men Alive”. Tickets are still available, click here before they all sell out! Brought to you by the School of Oriental and African Studies: an insightful panel discussion with British MP Diane Abbott, British student politician and NUS President, Shakira Martin and current Co-President of Activities & Event at SOAS, Adowa Darko covering all things race and its intersection with gender and class and many more. As this is a free event, please ensure that you arrive on time and register for your ticket here. In the last decade, the call for diversity in the senior roles/positions of leading organisations has been ever prevalent. 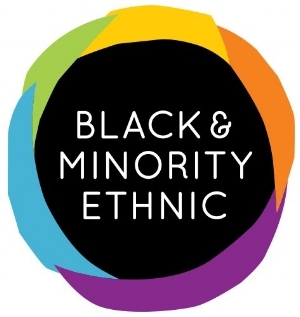 The talk, hosted by University College London will provide attendees with an insight into how a number of BME leaders are making an impact in their industries. Expect the likes of Melanie Peterkin-Philip, Manager at Deloitte LLP and Linda Bellos OBE, ex-politician and current businesswoman and activist for gay rights in the UK. Click here to book your ticket now! The lineup speaks for itself and I can personally see a number of my favourites on there already - cough cough, NewAgeMuzik (Check out the latest video for 'SERIOUS' here if you haven't already)! If you fancy an evening filled with African-inspired music in the presence of good company, get yourself down to the BoxPark Croydon on Thursday. It is advised that you turn up on time (early if possible) to guarantee entry as it is due to be an epic event! Click here for more information. I urge every young black business owner entrepreneur to attend this event. It is open to everyone but I particularly want to encourage all young people interested in setting up a business to attend. You are guaranteed to gain a wealth of knowledge, a plethora of insight into the runnings of a business and invaluable tips from established professionals. Expect an amazing exhibition as well as a number of interactive panels, seminars and workshops all tailored to empower your personal, professional and corporate development. There are a number of inspirational business owners on the agenda including founder of Vitae London, William Adoasi to Bianca Miller, founder of Trim-It Darren Tenkorang and many many more! Tickets are indeed still available so click here to grab yours now - don't dull oo! Generation Success have a great 'Speed Mentoring' event coming up this month. It presents itself as a fantastic opportunity to meet established professionals within their respective fields and gain an insight into how they attained their current level of success. There will also be an opportunity to network at the end so have your notepad, pen and business cards at the ready! For tickets, click here! The KickBack aims to connect young professionals in London, notably singles with a range of alternative experiences including speed dating, adult games nights. Please note that whilst The KickBack targets black professionals in London and dating events targeting single black men and women, all events are extremely inclusive so if you are not from an Afro-Caribbean background, do pop along if you can! There are two #FlowDating events coming up this month - 17th October 2017 from 6:30pm to 10:30pm for 28 - 38 year olds - here; 31st October 2017 from 6:30pm to 10:30pm for 23 - 32 year olds here. Tickets are available via the clickthrough links. Freeman is an interesting and exciting one. Inspired by the true story of William Freeman, a black man who was put on trial in New York in the 19th Century and was consequently the first case to raise 'insanity' as a defence in America. 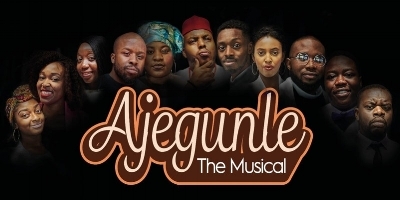 This play is set to explore the various relationships between people of colour, the criminal justice system as well as the often unspoken issue of mental health. Spanning from segregated 1846 America right up to the death of Sarah Reed here in the UK in 2016, Freeman is not one to be missed! Props to the Strictly Arts Artistic Director, Corey Campbell, Writer, Camilla Whitehill and Director, Danièle Sanderson on this one! Tickets are still available here and expect an insightful post-show talk on the night too! Ever wondered how Black History Month UK came about? Come and hear the journey of this movement from the founder himself, Mr Joe Douglas. Join founder Mr Douglas and his daughter Scarlette Douglas to hear about how it all came to be! This is a free event but registration is required. Click here to reserve your ticket. This exhibition has been described by the Tate Modern as a 'rare opportunity to see era-defining artworks that changed the face of art in America'. Expect to see incredible artwork honouring the likes of Martin Luther King, Malcolm X and Jack Johnson, to name but a few. Tickets to this ongoing exhibition can be purchased here. If you decide to make a day of it, why not try out some North African dishes over at Bon Vieux Temps. With the recent Brexit referendum, a number of discussions have been had concerning the furtherance of business interests in the Motherland. This event will include a number commercial experts and African business leaders that will provide an insight into current trends as well as the variety of of commercial opportunities for international businesses in Africa. Brought to you by the Morgan Stanley's African & Caribbean Business Alliance, Legal and Compliance Division (EMEA) an the Black Solicitors Network, expect the following on the panel: Phillip Quirk (International General Counsel), Richard Luddington (VC, Global Capital Markets), Dr Alex Vines OBE (Head of Africa Programme, Chatham House), Mary Boakye (Senior Advisor, Dentons), Kem Ihenacho, (Partner and Co-chair - Africa Practice, Latham & Watkins LLP), Maria Knapp, (Partner, Control Risks), Henry Obi, (Partner and Chief Operating Officer, Helios Investment Partners LLP) and last but not least, Charles Sekwalor, CEO & Founder, Movemeback. If you are interested in the development of Africa, notably though commercial interests, endeavour to attend! Tickets can be booked here. Again, this is not an exhaustive list of all events going on in the capital to celebrate Black History Month however these are a few to get you going. Be sure to check out the Black History Month website for more information on other upcoming events. Let me know if you attend any of the above events and be sure to say hi if you see me at any! Pop by next week for yet another post celebrating all things black culture and black excellence here in the UK.